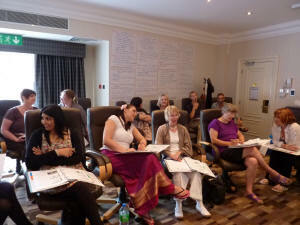 EFT Practitioner Level 3 - META-Health Academy. 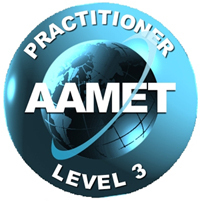 EFT Practitioner Level 3 - META-Health Academy. Deepen your skill-sets, obtain faster and more long lasting results with EFT and Energy Psychology. Ready to take your EFT practice to the next level? Use EFT at a completely NEW level? Go beyond the basics – learn how to use EFT creatively and intuitively? Increase your competency and confidence as a therapist? Help your clients to make rapid, profound and lasting change? Develop your re-framing skills and help clients to create resourceful beliefs? Reach and clear core issues more quickly and thoroughly? 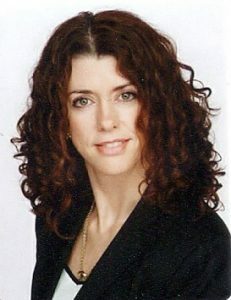 Connect energetically with clients through deeper rapport? Use Parts and Inner Child work to help clients find and resolve core issues? Help clients create a positive and compelling future goal setting with EFT? ‘Thank you for the REALLY GREAT and for me MAGICAL weekend. It was much more than learning EFT, it was sharing a bit of life!! On a personal level it was absolutely great for me. It was very targeted and focused on the barriers each of us had and also very inter-active. l gained confidence, a deeper and wider knowledge of which techniques to use and when, ideas on how to work with clients who have difficulties expressing their emotions or recalling specific memories, the possibility to experiment the new techniques and the possibility to work with different people and experience their approaches. I enjoyed the high degree of time spent on practice, and the depth of knowledge and very strong profesisonal experience and background Rob. Robert Waghmare is a deeply experienced EFT Master Practitioner and Trainer, with over a decade of professional therapeutic and Training experience . He uses EFT logically, intuitively and Methodologically. Knowing where to go to access core issues and help clients release their biggest blocks to happiness and success. As a Systems Thinker, Robert is able to reflect on his own practice and teach his skills and decision-making processes to others. As an NLP Master Practitioner, Robert is able to include many useful NLP tools and techniques which he has re-modelled to be more effective for use in his Level 3 training. You will not only have fun and learn a great deal from Robert’s courses, you will also have many opportunities to uncover and release your own blocks and barriers on this Level 3 training. Would you like to transform your understanding of symptoms, dis-ease, health, healing, personal development and evolution forever? Do you want to discover the specific stress mechanism behind specific symptoms and uncover the root causes of different illnesses with our proprietary development META-Health Analysis methodology? Would you like to join our deeply informative, enjoyable and transformative course? Are you interested in understanding the theory, seeing demonstrations and experiencing practically with the one of the creators of META-Health and world leading developer, trainer and consultant of META-Health? NB At Level 3, the topics covered are flexible to meet the needs and desires of the group. Get a full 3 days' training - learning, practice, mentoring and more! 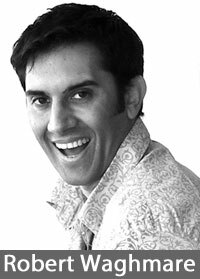 Robert Waghmare is very experienced EFT Master Practitioner and Trainer. He uses EFT logically, intuitively and Methodologically. Knowing where to go to access core issues and help clients release their biggest blocks to happiness and success. As a Systems Thinker, Robert is able to reflect on his own practice and teach his skills and decision-making processes to others. As an NLP Master Practitioner, Robert is able to include many useful NLP tools and techniques which he has re-modelled to be more effective for use in his Level 3 training. Level 3 certification will be issued when the trainer is satisfied that the applicant has reached the necessary standard, and shall consist of a Practitioner Certificate (Level 3). A system of mentoring and CPD (Continuing Professional Development) should be followed after the Level 3 course. A total of at least five CPD Units must be gained in each year after the initial Level 3 workshop. CPD, mentoring and supervision is undertaken at additional cost to the basic Level 3 training weekend. 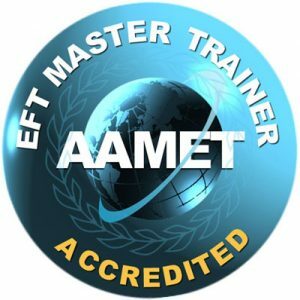 We are confident that you will have you a wonderful EFT training experience and if you feel within the 1st 24 hours of this training that its not for you. We will refund your training fee in full. So you literally have No Risk of financial loss. We can’t promise that you won’t let go of a few limiting beliefs, negative emotions and painful memories though! Places are limited to 10 people, so book early to secure your place. To book your place, please click on the 'Buy Now' button at the top of the page. This document is for information only. Copyright (c) - META-Health Academy Limited (Reg No: 8325699) - All Rights Reserved.